If every Middle Grade book was as heart-warming, realistic and interesting as this one, I can tell you I would be reading them more often than once/twice a month. It’s pathetic really because I love the genre, I’m so happy it exists, but many simply don’t appeal to an older audience. This one certainly does. What I love most about it is that one of its central characters is a baby. Who doesn’t even talk. He is important to everyone in the story, especially the narrator who would do anything for his brother. 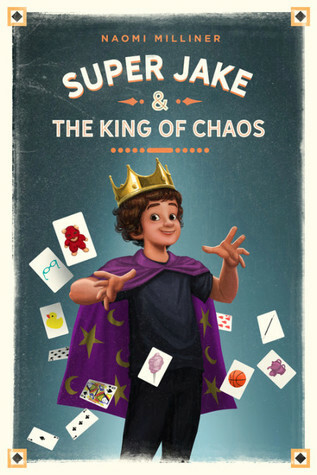 In the beginning, you think this is going to be the story of a young boy who is in love with magic and wishes to meet his favourite magician and will do everything in his means to make that happen… There is all of that, but it’s also about so much more. FAMILY is the key theme here. This is a short-ish book, and yet I managed to grow attached to each member of Ethan’s family. Each family member has his/her own personality and they value one another tremendously. It’s refreshing to read a story in which a family is not falling apart, despite conflict or heart-breaking events. I once read that when something heart-shattering occurs in a family, the family can either grow closer or grow apart. It was wonderful to see the former occur.